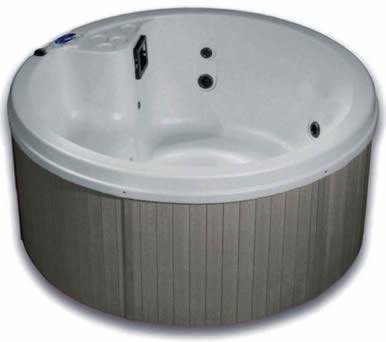 A 4/5 seater round hot tub with bench seating, the shell is Soft Touch Slip Resistant Fortiflex™ HDPE and the cabinet is zero maintenance Vikashield™ the spa has 20 jets including a whirlpool jet, under water lighting and a 2 speed 2hp pump. The original Viking!!! Here is the spa in which everyone can enjoy the hydrotherapy experience…The circular, rotunda seating is specifically designed with your life-style in mind. 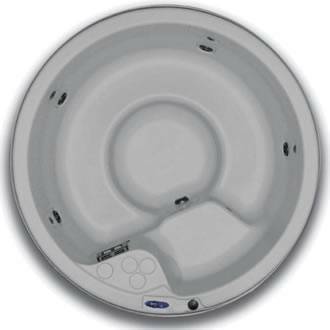 Freedom of movement is the feature that allows for enjoyment of all the hydrotherapy jet configurations. Family togetherness, conversation with friends or precious intimacy for just the two of you is yours to enjoy in a Viking Spa. The Viking II is easy on the pocket-book and soothing on the body and soul! 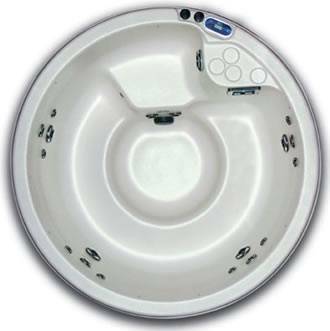 You’ll find that our Solid-State Touch Pad Spa Side Control easily activates the electronic components and pump; providing the ultimate hydrotherapy action. The strategically located jets assure maximum user comfort and relaxation. An experience you cannot be without!